Feel like releasing your inner Michael Phelps? Head to this aquatic complex, where you can swim in the same waters as where Olympic hopefuls train. Are you into swimming, or were you ever into swimming? 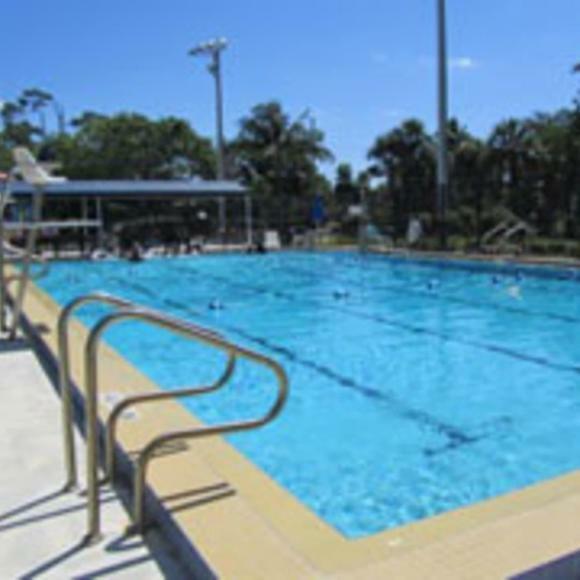 Then you HAVE to check the schedule and see if you can get some lane time here while visiting Ft Lauderdale. This place rocks for swimming and has mucho mambo space with different water temps even. Come work out with Olympic aspirants and swim in the lanes formerly occupied by HUGE swimmers in the sport. Even the locker rooms and showers are fun. Plenty of space everywhere. Make sure to check the schedule though and plan your time on days when this place is open and not leased to college and AAU events because it is a popular facility. Hands down this place is 5 stars. Formerly Swimming Hall of Fame training center, the museum is still next door and if you are an jock or ex jock and hold your mouth right the nice lady there will not even charge you the seven bucks to get in to see all the multitudinous memorabilia exhibits. Ride an ATB bike here or take a bus if you can and you can save on the parking as its a block from the beach and beach parking rates do apply here.